How do you see all the major sights in a sprawling city with 19 people, two large vans, and rediculous traffic even on a Saturday? You don’t! Day two of our discovery trip was more about choosing a few items from the buffet of options that Los Angeles and Santa Monica have to offer. 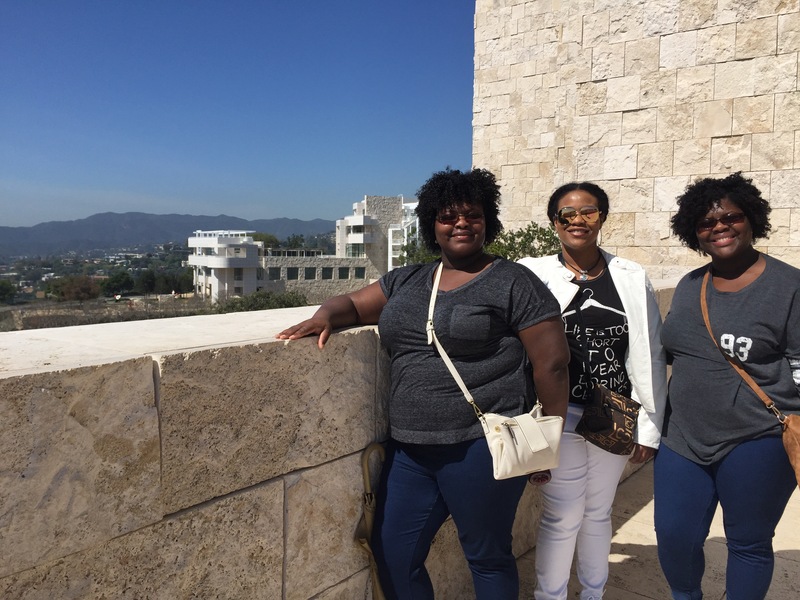 We started with the Getty Center, perched high on the hills in west LA. 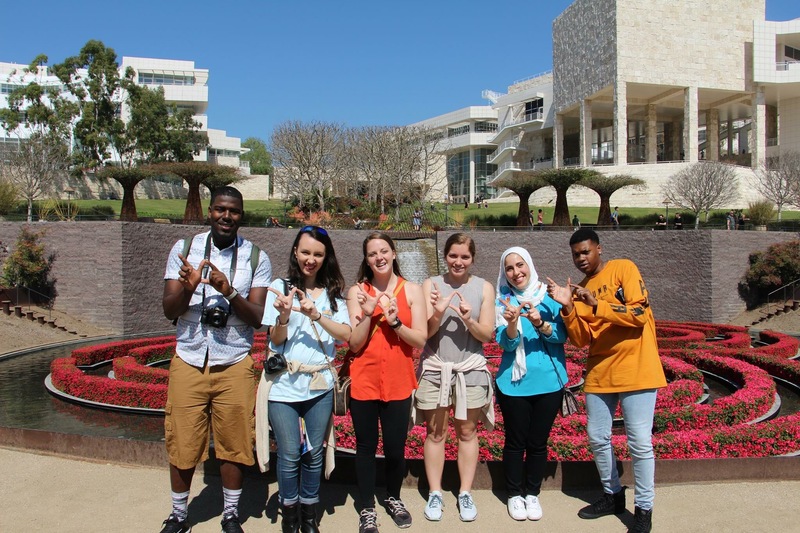 Christaga Noble, sophomore Luckyday Scholar, described the center as a “great place to get lost,” meaning there were many buildings, gardens, and outdoor verandas to explore. 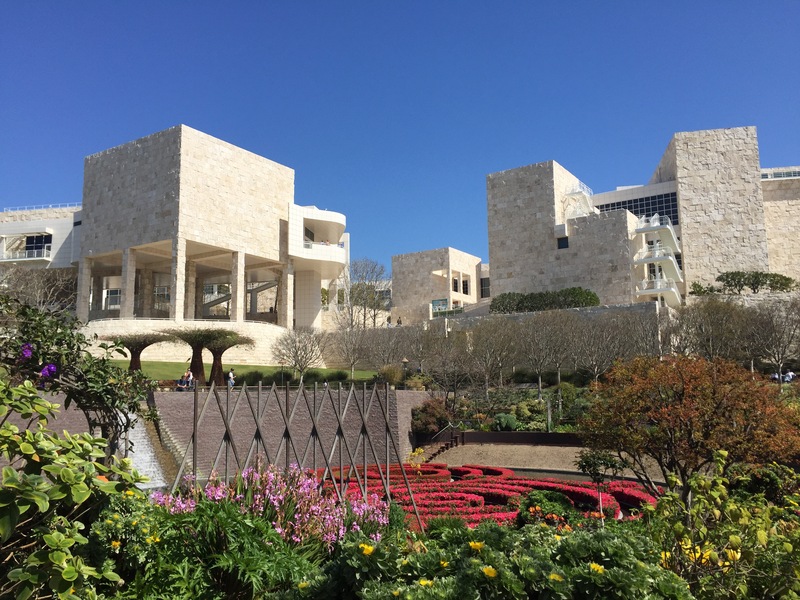 The buildings are hung with an off-white travertine which provides a crisp contrast with blue skies. “The museum was so pretty. I especially loved the Victorian exhibit with the recreated rooms of that era,” said Noble. 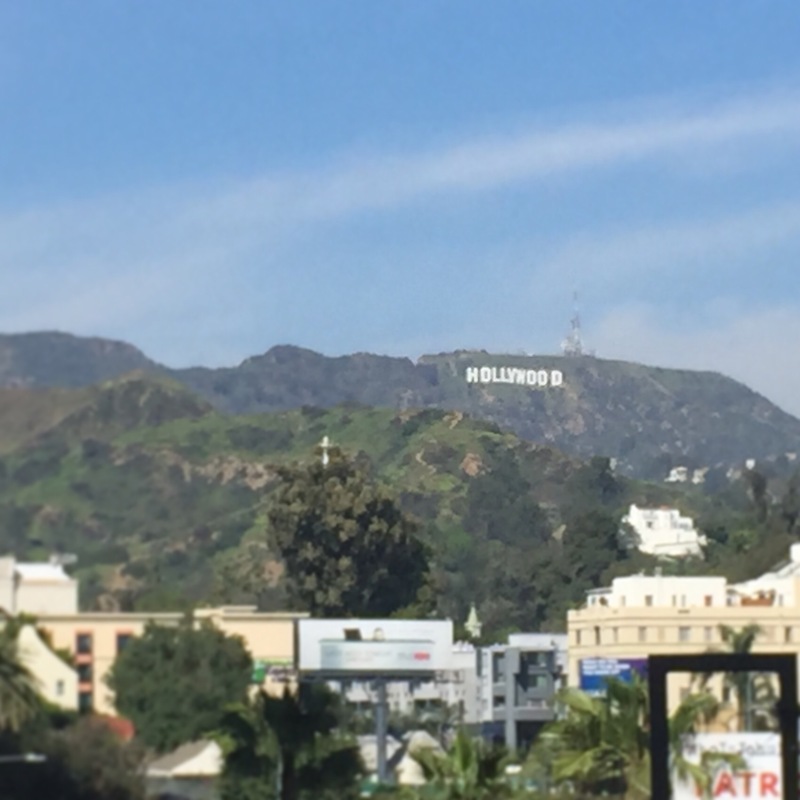 Our next stop was Hollywood Blvd. The students were hoping to see stars, but the only ones we saw were set in concrete. 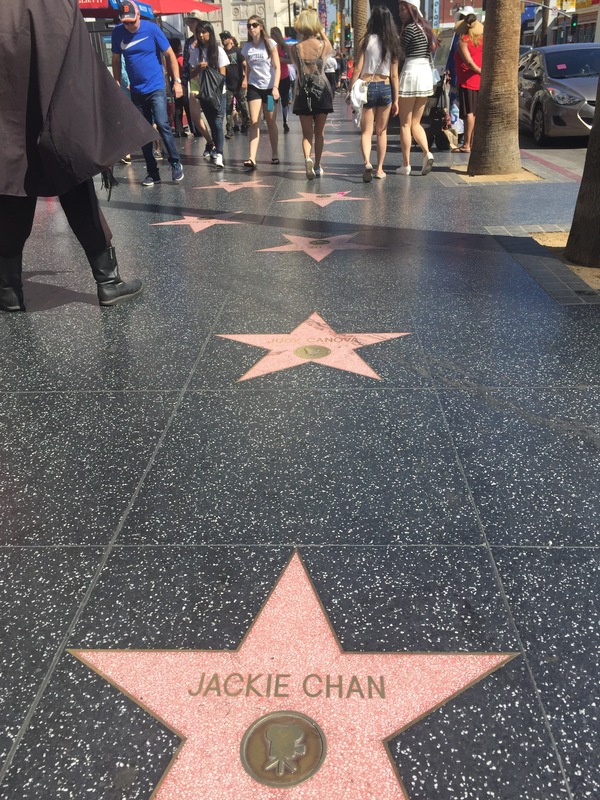 The day was hot and the sidewalks were packed with tourists. We ate lunch, walked around the touristy shops, and left within a short time. A few of us spotted one more thing before we left: the sign! From Hollywood we drove through Beverly Hills, trying to guess how much some of the homes cost, and headed back to Santa Monica for our beach and pier explorations. A fog rolled in come evening time, but we still had plenty of fun on the beach. We called it our adult playground because it had rings, bars, slacklines, bike rentals, and other sorts of outdoor activites for people to do. 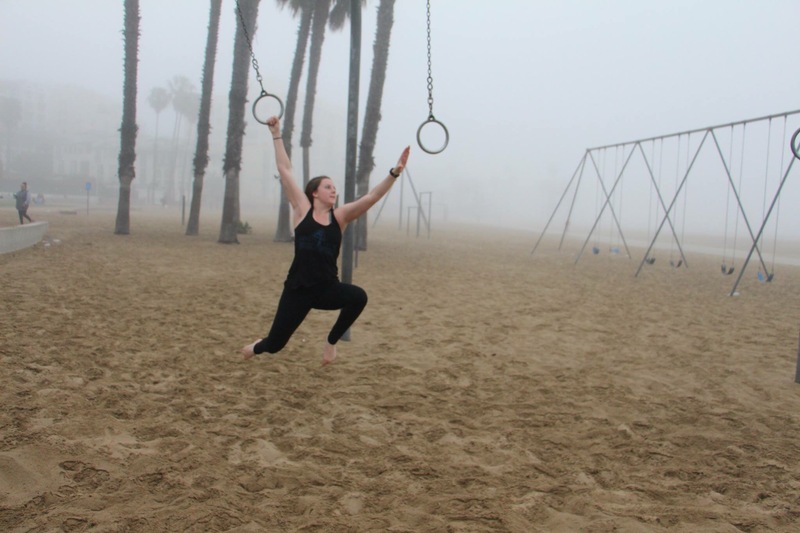 Heather Satcher swings like a professonial on the rings! 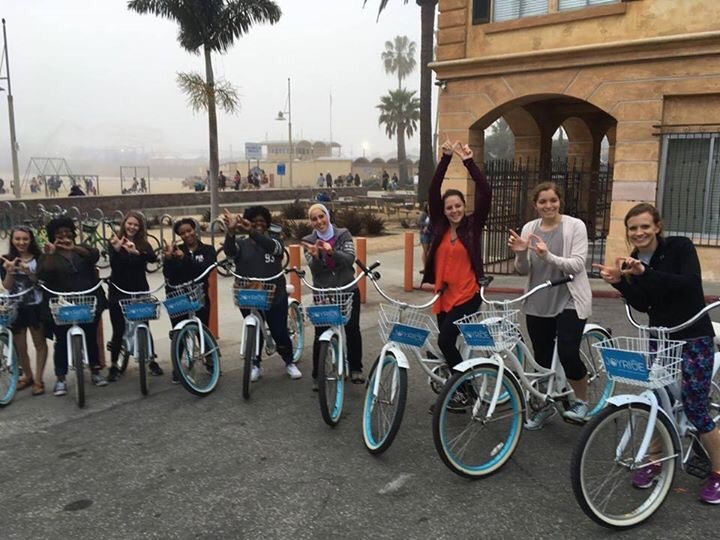 Half of the group rented bikes to ride down the beach from Santa Monica to Venice Beach. March 14, 2017 in Discovery Trip 2017.